The generator shut down because of a leak in the radiator. The radiator had to be removed and checked. Samuel and Minal put on a new hose and a new cap to complete the job. The truck is being prepared to be painted. The dents and dings are all pulled out and it is getting its finishing touches before being painted. The finished product of the boys plastering job. 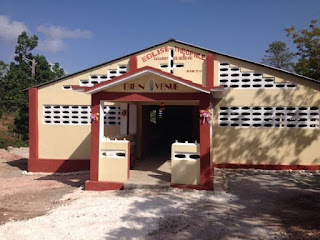 The church was inaugurated on the 22nd of May. There was a celebration and special services. There will be ceramic tiles in the isle when they can be purchased. The Hartmans came to work on their truck. We were hoping that it would only be a blown head gasket. The verdict was that it needed a new head and the cylinders needed to have new sleeves and pistons, a complete motor job. We used a tripod and wench to lift the motor out of the truck and also to put it back in. We took the truck to a garage nearby to get the truck body straightened again. He pulled out the damaged door, hood, and front end of the truck. We purchased a new windshield, window for the driver door, headlight, and various other parts. We only had the damages repaired for the moment. The parts were very expensive. We need to wait for the funds to have the truck painted. This is a foundation for one of the boys. He is working in stages to get his house built. I help him when I can. We were setting the steel for reinforced concrete posts in this picture. Pouring concrete in the bases for the posts. After painting the walls a cream color and the floor being a cream and brown we needed matching curtains. The old curtains were blue plaid. The boys finished plastering a new church. 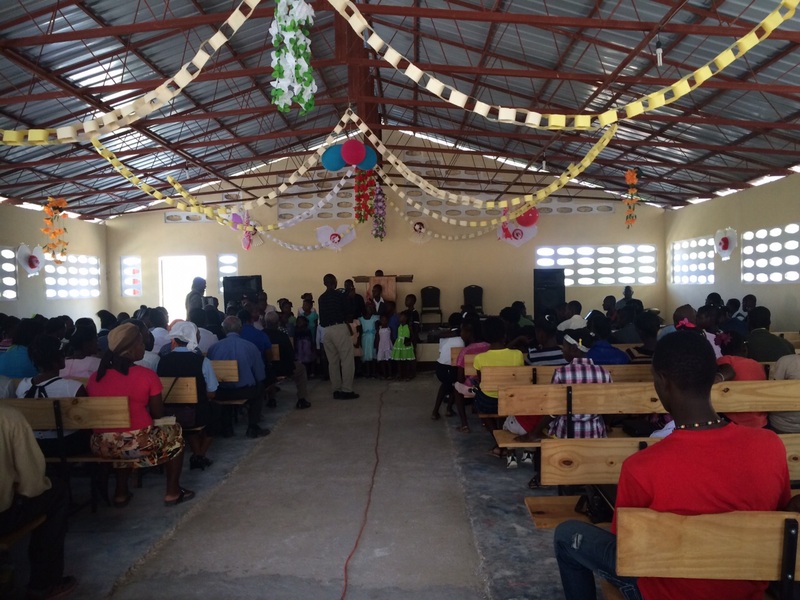 The church is for God's Ministry on Lagonave. 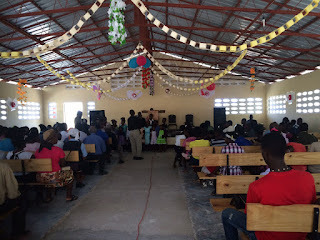 A picture of the inside of the church. Holding the Sunday morning service in the new sanctuary.